Your use of AMRAY NETWORK CORPORATION 2000 - 2019 Internet Web Directory and Search Engine Site (the "Site"), and all information, products and services on the Site, including our search, specialty services (collectively, the "Services") are subject to the binding legal terms set forth below ("Terms"). We may update these Terms from time to time without giving you any notice. Unless we let you know by giving you a notice, any new features or updated Services that we put on the Site will be subject to these Terms. BY USING THE SERVICES, YOU AGREE TO EACH OF THE TERMS SET FORTH BELOW. IF YOU DO NOT AGREE WITH ANY TERM OR CONDITION SET FORTH BELOW, YOU ARE NOT AUTHORIZED TO USE THE SERVICES FOR ANY PURPOSE. 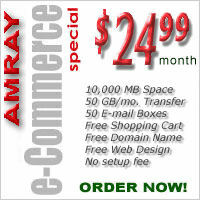 AMRAY is pleased to give you access to this Site free of charge. However, in order to access the Site, you will need to establish an account with an Internet service provider. You will also need equipment to access the Site, including a computer, modem or other communication device. You agree to pay for all hardware and services costs needed to access the Site and use the Services. AMRAY is not responsible for any of these costs. Some parts of the Site contain mature or adult content intended for people who are at least 18 years old. If you view this adult content, we understand that you are telling us that you are at least 18 years old and that the material you are viewing is acceptable to you. If you do not want to view this content, you can select the Family Filter set forth below, to exclude the adult content. You may use the Services on the Site for your personal use. You may make a single copy of the individual screens you see when you use the Services, but only for your personal use. You cannot distribute or transfer the copies to others in exchange for money or other consideration. You may not-and agree not to-modify, reformat, copy, display, distribute, transmit, publish, license, create derivative works from, transfer or sell any information, products or services obtained from the Services, except as set forth below. This means that you may not mirror the home page or results pages of the Site on your own Web site or Web page. Except for allowing you to use the Site for your personal use as set forth in the paragraph above, when you use the Site, you are not receiving a license or any other rights from us, including intellectual property or other proprietary rights of AMRAY or other companies with which we are affiliated. YOU UNDERSTAND THAT YOU HAVE NO RIGHTS TO THE SERVICES OR ANY OTHER AMRAY PROPERTY EXCEPT AS WE INDICATE IN THESE TERMS. If a governmental agency sends us a subpoena, we will comply with it. If we receive a subpoena by a third party that is not a governmental agency (for example, a subpoena in connection with civil litigation), we will contact the user whose identity has been requested. We will wait 15 days after notifying the user before complying with the subpoena, unless the subpoena requires us to disclose this information before then. If we can not wait 15 days because of the deadline in the subpoena, we will let the user know the deadline included in the subpoena when we provide notice that we received it. SEARCH RESULTS: THE WEB CHANGES CONSTANTLY AND NO SEARCHING OR INDEXING TECHNIQUES CAN POSSIBLY INCLUDE ALL PAGES ACCESSIBLE ON THE WEB IN ITS INDEX OF SITES (THE "INDEX"). AS A RESULT, AMRAY DOES NOT AND CAN NOT GUARANTEE THAT YOUR SEARCH RESULTS WILL BE COMPLETE OR ACCURATE OR THAT THE LINKS ASSOCIATED WITH THE INDEX WILL BE COMPLETE OR ACCURATE OR ACTIVE AT THE TIME OF YOUR SEARCH. THE WEB SITES INCLUDED IN THE INDEX ARE DEVELOPED BY PEOPLE WE DO NOT CONTROL. WE ASSUME NO RESPONSIBILITY FOR THE CONTENT OF ANY SITE INCLUDED IN THE INDEX, AND ARE NOT RESPONSIBLE FOR ANY ERRORS OR OMISSIONS CONTAINED IN THE SITE (OR ANY SITE YOU MAY LINK TO FROM THE SITE), OR ANY OFFENSIVE OR OTHERWISE OBJECTIONABLE CONTENT CONTAINED IN THE SITE (OR ANY SITE YOU MAY LINK TO FROM THE SITE). YOU UNDERSTAND THAT YOUR USE OF THE SERVICES (INCLUDING ANY DOWNLOAD FROM THE SERVICES AND ANY LOSS OF DATA OR OTHER DAMAGE TO YOUR COMPUTER SYSTEM YOU EXPERIENCE FROM USING THE SERVICES) IS AT YOUR SOLE RISK. YOU UNDERSTAND THAT THE SERVICES, INDEX AND ALL INFORMATION, PRODUCTS AND OTHER CONTENT (INCLUDING THIRD PARTY INFORMATION, PRODUCTS AND CONTENT) INCLUDED IN OR ACCESSIBLE FROM THE SITE, ARE PROVIDED ON AN "AS IS" "WHERE-IS" AND "WHERE AVAILABLE" BASIS, AND ARE SUBJECT TO CHANGE AT ANY TIME WITHOUT NOTICE TO YOU. YOU ACKNOWLEDGE THAT AMRAY MAKES NO WARRANTY THAT THE SERVICES WILL BE UNINTERRUPTED, TIMELY, SECURE OR ERROR-FREE. YOU UNDERSTAND THAT AMRAY DOES NOT WARRANT THAT THE RESULTS OBTAINED FROM YOUR USE OF THE SERVICES WILL MEET YOUR EXPECTATIONS. ACCESS TO THE WEB SITE OR UNAVAILABLE DUE TO MAINTENANCE OR UPGRADE PROCEDURES. NO WARRANTY OF ANY KIND, WHETHER ORAL OR WRITTEN, CAN MODIFY THE TERMS OF THE DISCLAIMER SET FORTH IN THIS DOCUMENT. TO THE FULLEST EXTENT PERMITTED BY LAW, AMRAY DISCLAIMS ALL REPRESENTATIONS, WARRANTIES AND CONDITIONS OF ANY KIND (EXPRESS, IMPLIED, STATUTORY OR OTHERWISE, INCLUDING BUT NOT LIMITED TO THE WARRANTIES OF MERCHANTABILITY, DURABILITY AND FITNESS FOR A PARTICULAR PURPOSE, QUALITY, SATISFACTORY QUALITY, TITLE AND NON-INFRINGEMENT OF PROPRIETARY RIGHTS) INCLUDING WITHOUT LIMITATION, IN REFERENCE TO THE SERVICES, INDEX AND ALL INFORMATION, PRODUCTS AND OTHER CONTENT (INCLUDING THIRD PARTY INFORMATION, PRODUCTS AND CONTENT) INCLUDED IN OR ACCESSIBLE FROM THE SITE. AMRAY EXPRESSLY DISCLAIMS ANY ENDORSEMENT. RECOMMENDATION, GUARANTEE, REPRESENTATION, WARRANTY OR CONDITION (WHETHER EXPRESS, IMPLIED, STATUTORY OR OTHERWISE) IN RESPECT OF, OR RESPONSIBILITY FOR ANY ACTION OR INACTION OF ANY PARTY INCLUDING WITHOUT LIMITATION ADVERTISERS, PARTNERS, PARTICIPATING MERCHANTS, MANUFACTURERS OR SUPPLIERS OR ANY PRODUCTS OR SERVICES SUPPLIED BY SUCH PARTIES. TO THE MAXIMUM EXTENT PERMITTED BY APPLICABLE LAW, IN NO EVENT WILL AMRAY, ITS PARENT OR SUBSIDIARIES, ANY OF THE COMPANIES IT IS AFFILIATED WITH, OR ANY OF ITS CONTENT PROVIDERS BE LIABLE TO YOU (OR ANY THIRD PARTY MAKING CLAIMS THROUGH YOU) FOR ANY LOSS OR DAMAGES WHATSOEVER, INCLUDING BUT NOT LIMITED TO ANY DIRECT, INDIRECT, SPECIAL, CONSEQUENTIAL, PUNITIVE OR INCIDENTAL DAMAGES, OR DAMAGES FOR LOSS OF USE, PROFITS, DATA OR OTHER INTANGIBLES, OR THE COST OF PROCUREMENT OF SUBSTITUTE GOODS OR SERVICES, UNAUTHORIZED ACCESS TO AND TAMPERING WITH YOUR PERSONAL INFORMATION OR TRANSMISSIONS, ARISING OUT OF OR RELATED TO THE USE, INABILITY TO USE, UNAUTHORIZED USE, PERFORMANCE OR NON-PERFORMANCE OF THE SITE, ANY AMRAY SITE, THE SERVICES OR THE INDEX, ANY COMPUTER-RELATED DAMAGES DUE TO DOWNLOADING MATERIALS, TYPOGRAPHICAL ERRORS AND/OR OMISSIONS. SOME STATES DO NOT ALLOW THE LIMITATION OR EXCLUSION OF LIABILITY FOR INCIDENTAL OR CONSEQUENTIAL DAMAGES; THEREFORE THE ABOVE LIMITATION OR EXCLUSION MAY NOT APPLY TO YOU. AMRAY is not responsible for the accuracy of associated companies' information including any changes in or discontinuance of services and/or products, nor any intellectual property infringement made by any party. AMRAY is not responsible for changes in the services and/or products offered by affiliated companies. In no event shall AMRAY's liability, either jointly or severally, exceed $1. AMRAY offers conditional free inclusion on first come first serve bases. AMRAY also offers a fee-based service that allows you to pay for Premium placing and for expedited review of your web site for possible inclusion in AMRAY Directory Index. Inclusion in the Directory is subject to acceptable criteria prescribed in Submission Guidelines that must be followed or your web site inclusion in AMRAY Directory Index will be rejected. Your payment guaranteed only promise to review your request for inclusion in the Directory on an expedited basis. The current fee for Premium and Regular Reviews for inclusion consideration in the Directory is a NON-REFUNDABLE fee of USD $29.99 for Premium listing and review for period of 1 Year and $39.99 Premium permanent inclusion and review fees and $9.95 USD for Regular Review permanent inclusion applicable for each web site submitted. Nothing in this agreement obligates AMRAY to accept, to list, link to or otherwise host your web site in the directory. In addition, if your site is accepted, nothing in this agreement obligates AMRAY to place your site within a specific category or sub-category of the directory and using suggested by web site owner Title and Description, Addresses, Images etc. or to provide any special privileges with the listing of web site. 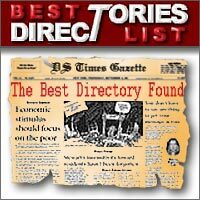 AMRAY reserves the right to decide whether, where, and how a site is listed in the Directory and in order to maintain quality of Directory it has sole discretion, to add or to remove web site from the Directory, move the listing to a different category or sub-category, and to make any changes to listing at any time, for any reason without web site owner's permission and any further notices. Only Site owner or administrator have rights to request site removal and must be the one who have submitted site and have access to email address which must to match domain name. No removal will be granted to SEO promotional services or Webmasters without access to admin email address. There is additional cost to edit or to remove your site from AMRAY Web Directory based on submitted preferences which must be paid before any changes will be made at paypal.me/AMRAYnetwork. If an AMRAY user comes across Web pages that contain private personal, professional or financial information that is not available to the public and/or may have been illegally obtained, or contain child abuse, racist and hateful materials, he or she can report to abuse @ AMRAY to request that the offending URL be removed from AMRAY's index. Please note that removing said URL from AMRAY's index does not remove the URL from the public Internet or the indexes of other search engines. We are committed to provide our users the most relevant search results presented in the order of greatest relevance. We rank search results automatically according to established ranking criteria (which may change from time to time). We do not guarantee any ranking results for any Web page. We also reserve the right in our sole discretion to adjust the ranking of search results for any Web page and to remove listings of Web pages if we believe people are abusing our Site. If you believe that our search results have been manipulated, we will evaluate your claims but we reserve the right to take action or not. We reserve the right to accept or reject URLs submitted to our index at any time and terminate your access to the Site without given any reason or explanation. This contract shall be governed by and construed in accordance with the laws of Canada without regard to conflict of laws principles. These Terms as amended from time to time, set forth the entire understanding between you and AMRAY and supersede any and all prior or contemporaneous agreements or understandings between you and AMRAY, whether oral or written, as to the subject matter of these Terms. If any provision of these Terms or the application thereof to any person or circumstances shall to any extent be held to be invalid or unenforceable, the remainder of these Terms, or the application of such provisions to persons or circumstances as to which it is not held to be invalid or unenforceable, shall not be affected thereby, and each provision shall be valid and be enforced to the fullest extent permitted by law. Although you acknowledge that we will have the ability to enforce our rights in any court of competent jurisdiction, you hereby consent to the exclusive jurisdiction and venue of courts in Winnipeg, Manitoba, Canada., regarding any and all disputes relating to these Terms, your use of the AMRAY Site, the Services. No waiver of these Terms will be valid, except in the event that the waiver is in writing and signed by an officer of AMRAY. If the performance by AMRAY of the Terms or any obligation thereunder is prevented, restricted or interfered with by any act or condition whatsoever beyond the reasonable control of AMRAY, you shall excuse, without further action or notice, AMRAY's performance to the extent of such prevention, restriction or interference. Last updated February 16, 2003.